Sonodoro’s arrest put a big strain on our relationship. Sure, he was bonded him out of jail (using the car of his best friend’s fiancée). He was able to stay out because the judge gave him community service. But, somewhere before the kidney stones or after the arrest he lost his decent-paying full time job translating and transcribing Spanish commercials to English. His “I hate the world and all my managers are idiots” attitude didn’t curry favor with his supervisors and his inability to keep these jobs put added stress on the remaining “relationship” we had. I was growing increasingly frustrated he wasn’t committing to turning his life around and be the man I needed. I kept trying to fix him and love him into the man I knew he could be. He was growing harder to love. . . and fix. My friends who were vocal about their dislike remained steadfast in their dislike, but supported me as I dealt with his undesirable behavior. I maintained mild optimism I could fix this, but my baby sister advised me, “If there’s something you don’t like when you’re dating, it only gets worse when you’re married.” She should know; she was separated from her husband after a year and a half. I contemplated an exit strategy. That fall, Nature Chick, my baby sister and I decided the best thing to do was celebrate Thanksgiving together. She and her husband drove 14 hours from Salt Lake City, UT for a visit. Despite Nature Chick and I holding our unhappiness in, we made the most of it. We still giggle about my cupboards. She marveled I arranged them by nationality. I thought it was an extremely intelligent way to organize. She thought it looked like segregation. I had a lot to be thankful for that Thanksgiving— Sonodoro was not in jail and I had my sister with me. 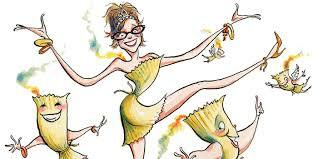 For dinner, the four of us piled into my SUV, with Nature Chick hiding the secret she knew about Sonodoro’s arrest. When we got to his mother’s apartment, the doors opened revealing the world of glitter and tchotchkes from quinceaneras, trips around Southern California (like Universal Studios and Sea World) and to Latin and South America. My brother-in-law’s reaction was priceless— His face was filled with wonder and fear all at once. Even though Sonodoro was growing harder to love, I still loved him and I was thankful to celebrate Thanksgiving with him and his family and not by visiting a jail. Sonodoro’s mother had a lot to be thankful for too. She thought Sonodoro and I were close to marriage, especially with the visit of Nature Chick and her husband. With the blonde hair and light complexion I looked like the All-American girl and I was her American Dream. Despite mismanaging her diabetes and poor parenting skills, Sonodoro’s mom was a master at entertaining. She was able to turn her one-bedroom apartment into a comfortable place to feed many. Grandma’s bed was still off her corner of the common room and a banquet table took up the rest of the area. Sonodoro’s brother was there with his family of four and the15 year old sister was there with her boyfriend. All totaled, there were 12 people over the age of 15 and two kids, one seven the other eight. The guest of honor lounged on the table, looking like the love child of a Thanksgiving turkey and Hawaiian ham. The turkey may have well just come from a Hawaiian Tropic photo shoot. The sugar glistened like it was lacquered for optimum photographic excellence and it wore accouterment of pineapple rings and maraschino cherries. This was slightly (sarcasm) different than the New England Thanksgiving Nature Chick and I grew up with and only served enhanced the deep homesickness we were both feeling. Sonodoro’s niece and nephew ran amuck and their parents didn’t seem to care. Nature Chick and I were appalled. Not only did the parents not encourage the children to eat with the family, they ate chicken nuggets. ON THANKSGIVING OF ALL THINGS! Chicken nuggets were not special. They were not culturally relevant to my Guatemalan boyfriend his Mexican sister-in-law or my Jewish brother-in-law. They are boring and something you pop in the oven when you need dinner but are too tired to cook. Eating chicken nuggets on Thanksgiving is sacrilege! There’s something about the holidays that makes one a little more optimistic. That Thanksgiving the kernel of optimism spoke through my despair. I told Sonodoro that when we had kids they would not be permitted to eat chicken nuggets on Thanksgiving and they would eat dinner with the rest of the family. He was cranky that I was criticizing his brother (which miffed me), explained that it was easier to feed the kids first, but ultimately agreed with me. I found it to be as empty as my relationship with Sonodoro and my aversion to continuing the relationship was renewed. Instead of finding chicken, I found an old chicken bone that someone decided to reuse after eating the chicken off. I almost lost my dinner. Thank goodness! The kids wanted dessert and we could get this conversation over with. 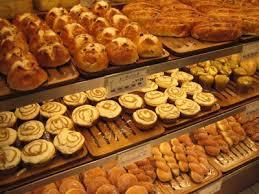 We had pastry and sweet bread from the local panaderia. In addition to being introduced to tamales and sweet breads, Nature Chick discovered the unpredictable personality of Sonodoro’s mother. We both cleared our plates to the kitchen (while her husband and Sonodoro stayed at the table). I left, expecting her to follow me, but Nature Chick stayed in the kitchen to help. 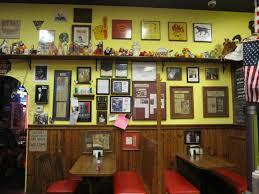 Now, many hostesses would playfully banter with their guests or use soft language if they didn’t want help. Even with a language barrier, a simple, “no thank you” (which I had her use on occasion) and gentle push out of the kitchen would suffice. Not Sonodoro’s mother. She yelled at my sister and hit her until she left the kitchen. This recipe is inspired by Joe Pastry. Preheat broiler. Line heavy baking sheet with foil. Arrange tomatillos on prepared sheet. Broil until tomatillos blacken in spots, turning once, about 5 minutes per side. When done, transfer tomatillos and any juices to processor and cool. Add chilies and garlic to processor and blend until smooth puree forms. Heat oil in medium saucepan over medium-high heat. Add tomatillo puree and cook on boil for 5 minutes, stirring often. Add broth. Reduce heat to medium; simmer until sauce coats spoon thickly and is reduced to 1 cup, stirring occasionally, about 40 minutes. Season with salt. Mix in chicken and cilantro. *As an alternate filling, homemade refried black beans works well. 2. With one softened leaf cut strips that are 10 inches long by about 1/4 inch wide. Set strips aside. You will need these later for securing tamales. 3. In a large pot, put your steamer basket. Fill with 2 cups of water. 1. On a flat work surface, place leaf. 2. Spread ¼ cup dough in 4-inch square all the way to one side. 3. Spoon heaping tbs filling in stripe down center of each dough square. 4. Now, like giftwrapping a present: Fold sides of leaf over filling and then fold top and bottom sides to cover. Tie with strip of leaf to secure. Stand tamales in steamer basket. 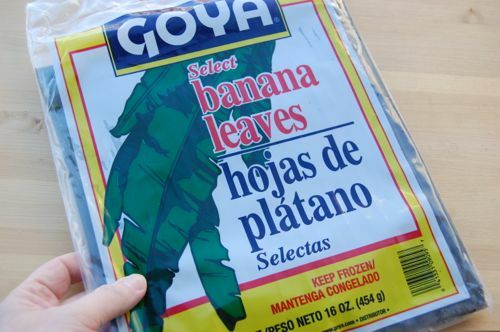 *Point to note- Banana leaves are not uniform and sometimes have tears and holes. Be creative using your leaf. 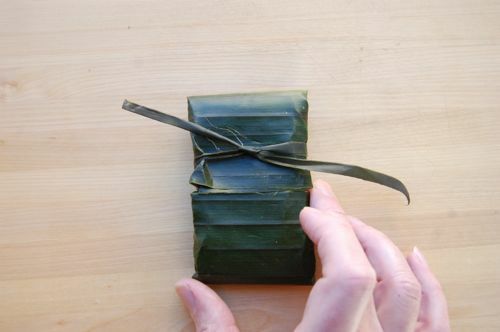 To be green, I try to use only the leaf, but I often see tamales wrapped in aluminum foil. If necessary to keep tamales upright in steamer, insert pieces of crumpled foil between them. Bring water in pot to boil. Cover pot and steam tamales until dough is firm to touch (about 45 minutes on a medium low heat). Given that each stovetop is different, at 30 minutes check water level. Add more water if necessary. Let stand 10 minutes. Tamales can be made 2 days ahead of eating. If you’re going to use another day, Cool 1 hour before chilling. To reheat, re-steam tamales until hot, about 35 minutes. Otherwise, ENJOY! This entry was posted in Dinner and tagged banana leaf, banana leaf tamales, Chicken, cookbook, cooking blog, cooking memoir, dating, Dinner, Joe Pastry, Los Angeles, Nature Chick, Sonodoro, Tamales, Thanksgiving. Bookmark the permalink.